Robot-milked cows are show ring divas too! Last month we shared the story of Dalton Freeman, a young man who likes living on his family dairy, but loves to show his Brown Swiss cow Jonlee Secret Langwathby. Why? Because hi s preparation at home and a lot of luck have earned him bragging rights at his two most recent show competitions. Dalton competed at the North American International Livestock Exposition (NAILE) in Louisville, KY where Langwathby and Dalton earned 1st place production winner of the 4-year-olds and went on to win Grand Champion of the junior show. But wait, they weren’t done gathering awards, the list keeps going! 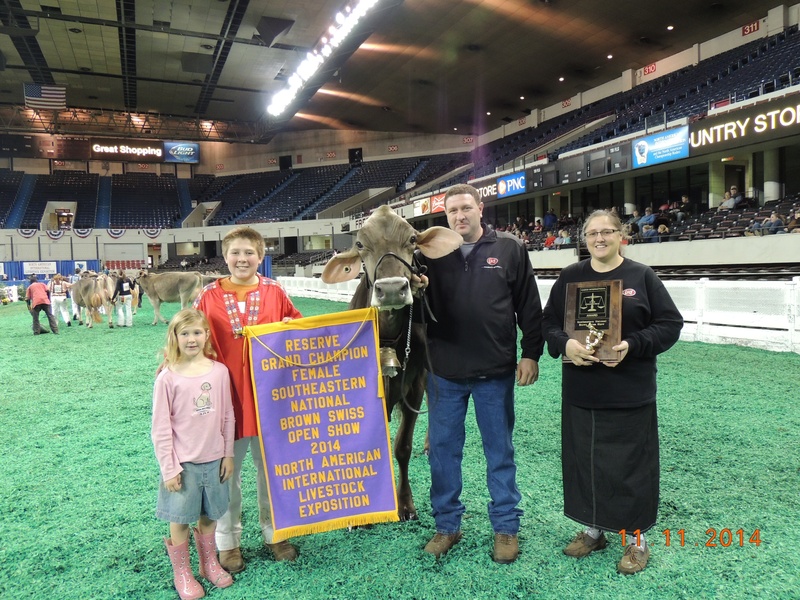 While taking top honors in the junior show at the NAILE was pretty cool, Dalton’s family entered Langwathby into the NAILE’s Southeastern National Brown Swiss open show. Based on this pairs’ recent successes, you won’t be surprised they accomplished more during the open show. 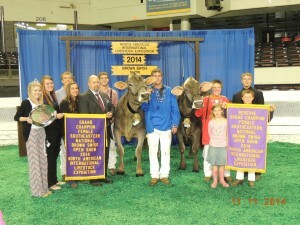 Langwathby was the 1st place 4-year-old, Reserve Senior Champion, as well as the Reserve Grand Champion cow. Langwathby also won the Nasco International type production award for the show. Dalton’s little br other Dillon has been “chomping at the bit” so-to-speak, and yearning for his chance to lead a cow into a major show ring. Finally, Dillon showed an Ayrshire cow, Canoe Ridge Dreamer Babie, in the Southeastern National Ayrshire junior and open shows. 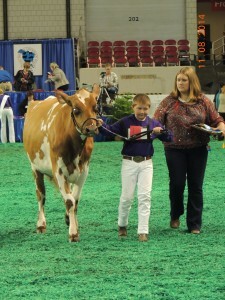 In both shows, she was the 1st place yearling-in-milk winner. The Freeman brothers milk their show divas in one of the family’s three Lely Astronaut milking robots at Nor-Bert Farms near Bremen, Indiana. They credit the robots to give them more milk production with less cows, a lower somatic cell count and better cow health reducing visits from their veterinarian. Now that the cows are on their own schedule, the Freeman’s can more easily attend shows further away from the farm.